7.5) How should SQL Server verify the authenticity of the login ID? 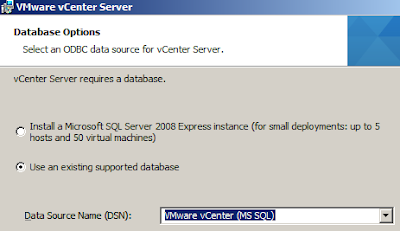 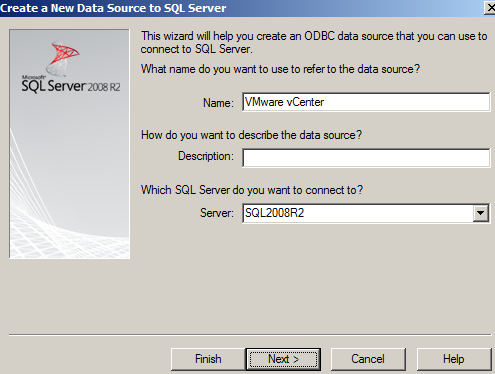 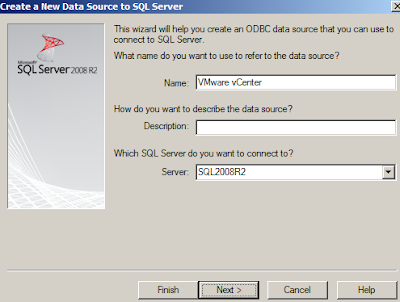 7.8) On the ‘ODBC Microsoft SQL Server Setup’ click ‘Test Data Source…’ to verify the Data Source. 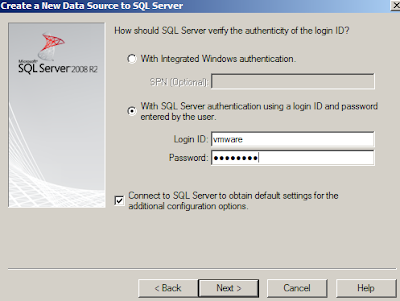 Note: At this stage you may get an error “Make sure SQL Server Agent is running on the database server” – in which case check the service is set to automatic startup and started.! 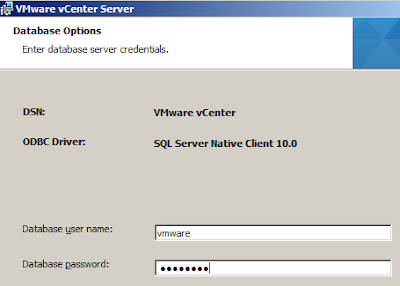 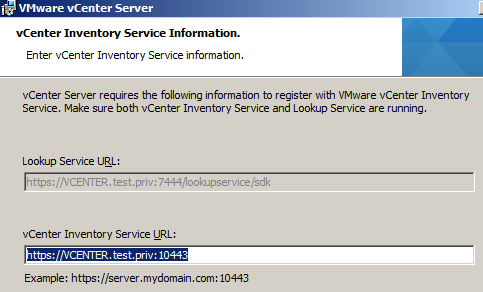 9.2) Logging into the vSphere client, we find the hosts are all disconnected. 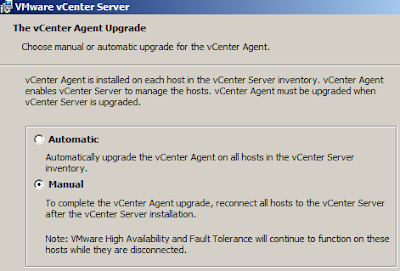 Right-click each host in turn and click Connect to restore the hosts 4.0u1 hosts to a 5.1a vCenter! 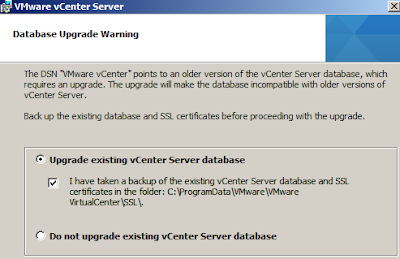 9.3) We’ve completed an upgrade from 4.0u1 to 5.1a whilst at the same time changing machine O/S and backend database server! It was easy to restore all 3 hosts to the vCenter by Remove-ing all the disconnected hosts then re-adding them back in. 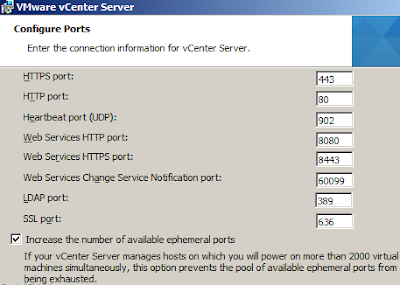 Still at no point in the upgrade did any of the VM’s encounter any downtime; now, if this had been an EVC enabled cluster then adding a host in would have required the VMs powered off. The error might be explained by my snapshotting the lab before the upgrade and rolling-back to run through it again without having snapshotted the iSCSI storage and been able to rollback the iSCSI storage appliance.